The implementation of the Smart Grid have a direct impact on the economy of the country which is reflected in more engagement of national population and opportunities. Direct benefits to Governments are associated with balancing energy and financial flows; and improving revenue capture. Customers’ benefits are conveyed in cost reduction and efficiency improvement. Indirect benefits on the economy are stipulated through economic productivity increases associated with improved grid and significant reductions in environmental impact through energy conservation and greater renewable generation integration. 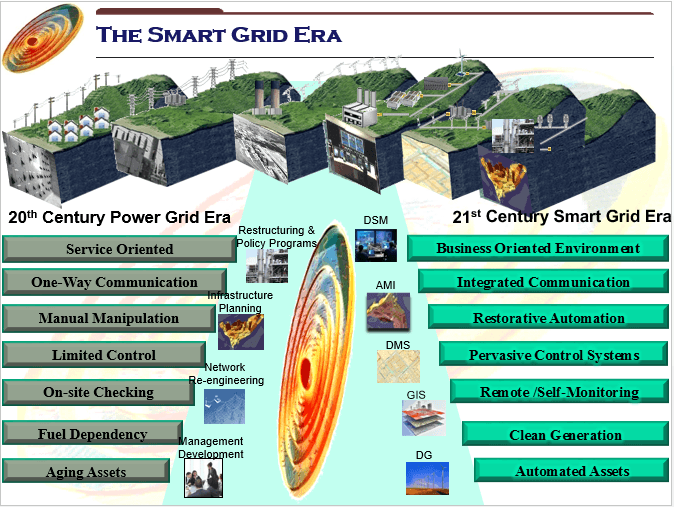 NEEDS initiated the Research, Development, and Implementation Programs for the radical transformation of the power grid in different countries of the region into a real smart grid with multi-supply/generation components and schemes, storage facilities, increased connectivity, embedded automation/control and information platforms, and dynamic coordination/interaction between power suppliers, utility networks and consumers.